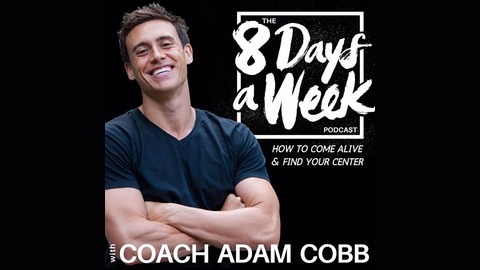 Adam Cobb is a TEDx speaker, nutritionist, movement and mindset coach. Listen to stories from various high performing people around the world how to design your day to find more time and freedom to experience your excellence. Learn how movement is the heartbeat of momentum, that average is an accident and (spoiler alert) how we all have access to endless energy. Leadership starts and ends with a lifestyle led by design. Learn what's possible if you led a life as if you had an extra day, live from a new mindset, 8 DAYS A WEEK. My guest today is a client and friend who I personally have seen over the last 6 years go through a massive transformation in not only his body but also his mind. Shifting priorities from the grind of Wall Street to a better lifestyle takes courage and support, this is something we explore today along with our episode title, The Best Way To Finish Every Workout. I want to thank you Rino for sharing your personal journey, your heart, and your treat meal with the show. Rino is a successful business man, CEO, Investor, husband, Dad of 2, an avid Patriots fan, a lover of quotes, and dear friend. Rino reveals his secret weapon to success. Recorded in the beginning of 2018, since then Rino traveled more for pleasure, significantly cut down on commute time, made many more memories with his family, he invited his whole family to the Super Bowl in Atlanta and watched Tom Brady get his 6, and ate a lot more sushi. 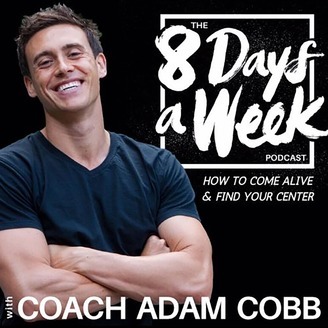 Thank you, to you the listener, don't forget to subscribe, leave a comment, and head over to www.coachadamcobb.com and download your free 5 meditations under 5 minutes.